OnePlus 6T McLaren Edition, which is the most powerful smartphone from the Chinese phone maker will be made available for sale exclusively via Amazon India this week. As per Amazon India's site, the specific edition of OnePlus 6T will be flagged off on April 6, 2019. OnePlus 6T McLaren Edition was introduced last year in December to celebrate fifth anniversary of the company. Priced at Rs 50,999, the McLaren edition is packed with 10GB of RAM and 256GB of internal space. It is important to note that the McLaren edition will be offered in limited stocks. OnePlus 7 Render Images Leaked Online; Likely To Sport Three New Gradient Colours. Specification-wise, the McLaren Edition sports a 6.41-inch FHD+ AMOLED display with 19.5:9 aspect ratio and resolution of 2340x1080. Another highlight of the phone is that it comes packed with Corning Gorilla Glass 6. Under the hood, the phone is powered by Snapdragon 845 chipset. Like the regular OnePlus 6T, the McLaren version too carries a water drop notch and in-display fingerprint sensor. For optics, there is a dual camera at the back which comprises of 16MP lens with f/1.7 aperture along with 20MP lens with dual LED flash. At the front, the phone features a 16MP front camera for video calling and selfies. The smartphone is backed by 3700 mAh battery with Warp Charge 3.0 technology which is claimed to charge the device merely in 20 minutes. OnePlus 7 Already Listed Online With Price & Specifications Ahead of Launch. As a reminder, the Chinese smartphone maker is gearing up to launch the next-in flagship device soon. Several leaked images have surfaced on the internet hinting that the new OnePlus 7 phone is imminent. Going by company’s previous tradition, OnePlus could be launched by next month. 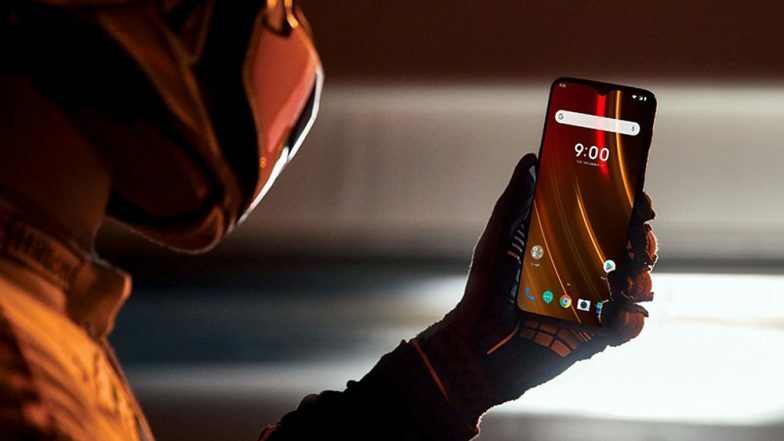 Several reports claim that OnePlus 7 will feature notchless display with bezel less display and pop-up selfie camera.